Today, the European Commission published an update of the list of European harmonized standards that manufacturers of toys may use to prove CE compliance with the Toys Directive 88/378/EEC. This updated list is of importance to manufacturers of toys that have used European harmonized standards to prove CE compliance. When you have applied standards which have been updated by this list, you need to re-evaluate your equipment against the updated standard and update your Declaration of Conformity. 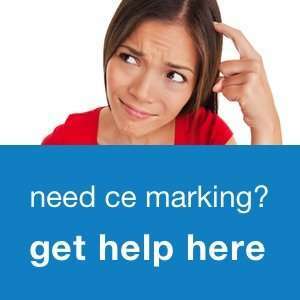 The updated list of standards can be found here or our CE Marking Library. The European Commission published an update of the list of European harmonized standards that manufacturers of electrical equipment may use to prove CE compliance with the Low Voltage Directive 2006/95/EC (previously 73/23/EEC). This updated list is of importance to manufacturers of electrical equipment that have used European harmonized standards to prove CE compliance. When you have applied standards which have been updated by this list, you need to re-evaluate your equipment against the updated standard and update your Declaration of Conformity. CLEVELAND, OH, July 30 /PRNewswire/ – CSA International, a leading certification and testing organization, today announced that it has signed a reciprocal product testing agreement to provide testing services in North America and Asia, on behalf of VDE, for products destined for European markets. A similar reciprocal agreement allows VDE to conduct testing to North American standards on behalf of CSA International. These significant agreements signify a continuation of the long-lasting cooperation between CSA International and the VDE Association for Electrical, Electronic & Information Technologies of Frankfurt, Germany. With an impressive force of 220 inspectors, German custom authorities raided several companies in the Berlin on Saturday, seizing flat-screen televisions and other electronics from stands at IFA, the world’s largest consumer electronics fair. A German court had ruled late on Thursday that several east Asian and European firms were marketing unlicensed patented technology at IFA and authorized 69 raids, a spokesman for Berlin’s customs investigation office said. Hyandai IT Corp was among the raided companies. Uniformed customs police could be witnessed removing Hyundai’s flat-screen televisions in front of the public and trade visitors, leaving an empty stand with wires hanging from it. According to the spokesperson around 170 televisions, 140 MP3 music players, 21 mobile phones and 57 DVD recorders had been seized at IFA so far. The theft of trade secrets by foreign companies is a sensitive topic in Germany, where the economy depends on a research-intensive export sector. Similar but smaller raids have taken place at other German technology fairs such as Hanover’s Cebit in recent years. I found this video on YouTube that explains quite nicely how market surveillance works in the European Union. Market surveillance is the name for all activities related to the control of product safety and compliance by the inspection authorities of the Member States of the European Union. It shows you what these autorities do to find unsafe and non-compliant products and to prosecute the manufacturers and importers. Did you have any encounters with the European market surveillance authorities? Let me know what your experience was. Today, the European Commission published an update of the list of European harmonized standards that machinery manufacturers may use to prove CE compliance with the Machinery Directive 98/37/EC. This updated list is of importance to machinery manufacturers that have used European harmonized standards to prove CE compliance. When you have applied standards which have been updated by this list, you need to re-evaluate your machinery against the updated standard and update your Declaration of Conformity. manufacturers of ATEX equipment (equipment used in potentially explosive atmospheres) may use to prove CE compliance with the ATEX directive 94/9/EC. This updated list is of importance to manufacturers of ATEX equipment that have used European harmonized standards to prove CE compliance. When you have applied standards which have been updated by this list, you need to re-evaluate your equipment against the updated standard and update your Declaration of Conformity.